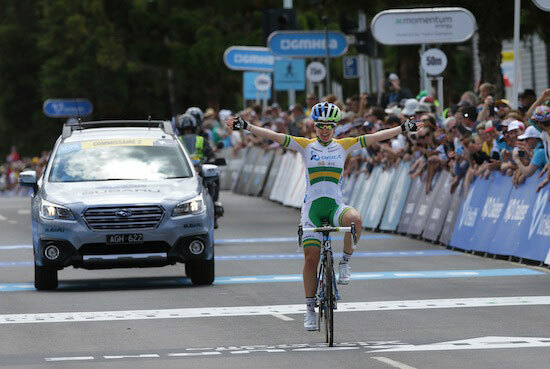 Former Australian champion Amanda Spratt has stolen the show on the opening stage of the Santos Women´s Tour after attacking to claim an impressive solo stage victory into Meadows. The recent Mitchelton Bay Cycling Classic stage winner has displayed great form in the early part of the season and today´s dominating performance gives her and Orica-Scott a dream start to the four-day home race; the first UCI race of the 2017 season. “I am really happy I could pull it off for the team today,” explained Spratt. “We had a plan to attack a lot in the final and try to get a move away and that´s exactly what we did. It was a hard day out there, we went and had a look at this stage a few days ago so we knew it would be hard and we knew it would be up to us to dictate the pace after our successful performances recently. In an attempt to split up the race, Orica-Scott attacked multiple times with around 17kilometres to go and created a smaller leading group. Spratt made a perfectly timed counter attack off teammate Katrin Garfoot and was able to create the race winning move, going clear with two other riders coming into the final 10kilometres of stage one. Along with taking the stage victory today, Spratt now leads the overall standings, the points classification and mountains classification leaving sport director Gene Bates very pleased with the outcome of the day. With the best ever field comprising of 17 teams and 102 riders at this year´s Santos Women´s Tour it was set to be a tough opening stage to the four-day tour. After the feed zone at the 63kilometre mark, defending champion Garfoot launched an attack to test the waters, but the move was immediately shut down. It was with around 20kilometres to go when the main action happened, as Orica-Scott attacked relentlessly to create a smaller manageable from which Spratt attacked again and rode clear with two other riders. Buchanan dropped off the pace as the lead trio headed towards the challenging 700metre steep Queen of the Mountains sprint just four kilometres from the finishing line leaving Spratt alone with just Ensing. Using her experience Spratt waited and launched another attack near the top of the climb enabling her to ride away and take the stage honours. Tomorrow the Santos Women´s Tour heads to the centre of Adelaide for a stage two criterium race which preludes the elite men´s People´s Choice Classic. KAOHSIUNG, Taiwan (BRAIN) — Pinarello has responded to public claims that its newest road frame, introduced this week, infringes on patents owned by Velocite related to a concave downtube, intended to smooth airflow over waterbottles. Pinarello says its lawyers have responded to Velocite, a Taiwanese manufacturer, and are now waiting for more information on exactly which products are alleged to infringe and why. “Providing this information is not ancillary but mandatory when an infringement is alleged,” the Italian company said in a response provided to BRAIN on Thursday morning. "Cicli Pinarello SpA, as a leading company in the cycling sector, obviously takes intellectual property issues with the utmost seriousness, Pinarello itself being a patent holder." But Pinarello objected to the public nature of the charges from Velocite’s owner, Victor Major, who made a blog post about his complaints on Tuesday, the day that Pinarello went public with its new Dogma F10 frame, which has the downtube design. “Although Pinarello can understand that his behavior may procure Mr. Major a rise in his notoriety, that same behavior is deeply unfair, since Mr. Major himself is perfectly aware that he chose not to discuss the issue with Pinarello,” the company said. Sunday January the 15th Team UAE will leave Italy flying to Argentina, where they’ll participate in the Vuelta Ciclista a la Provincia de San Juan from 23rd to 29th January. 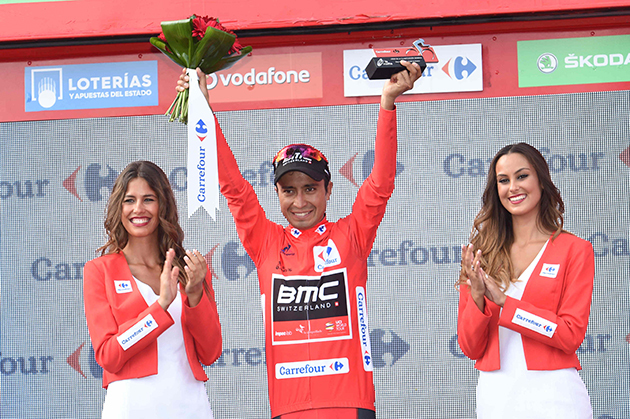 The members of the team of the sports director Mario Scirea will be six riders of high quality: Darwin Atapuma, Rui Costa, Filippo Ganna, Andrea Guardini, Przemyslaw Niemiec and Oliviero Troia. In the staff there will the physician Dr Angelucci, the masseurs Gallivanone and Lima and the mechanics Coelho and Morari. Before the kick-off of the race, the team will exploit some days for training on the Colnago C60 bikes in order to improve the shape after the works performed in the training camp in Terracina. “Guardini will be our captain for the sprints: he’ll have the opportunity to rely on the support of Troia and on Ganna, who’ll be both debut as pro riders – sports director Scirea commented – Our selection will be competitive also for the summit arrival, thanks to the presence of top climbers such as Atapuma, Rui Costa and Niemiec. Atapuma will race for the first time in our team, during the season he’ll be an important resource for us and we’ll do our best in order to support him. Rui Costa never began the season so early, in Argentina he’ll try to exploit the work he’ll perform in Argentina”.